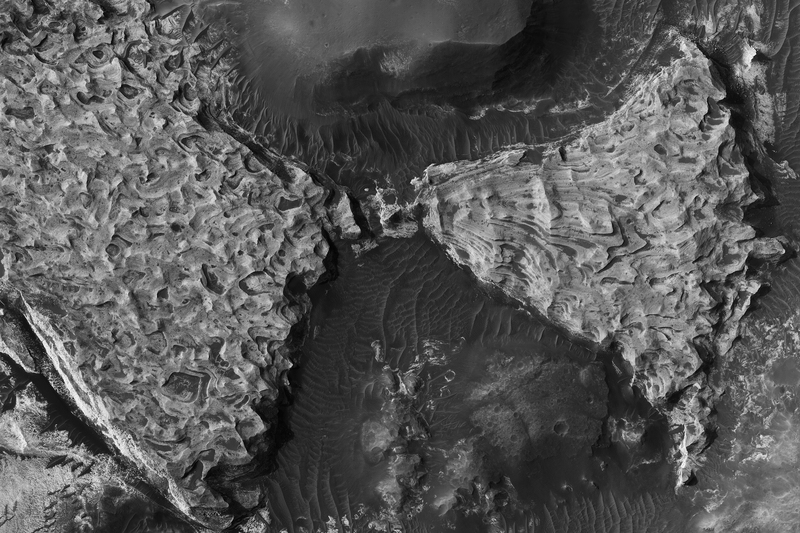 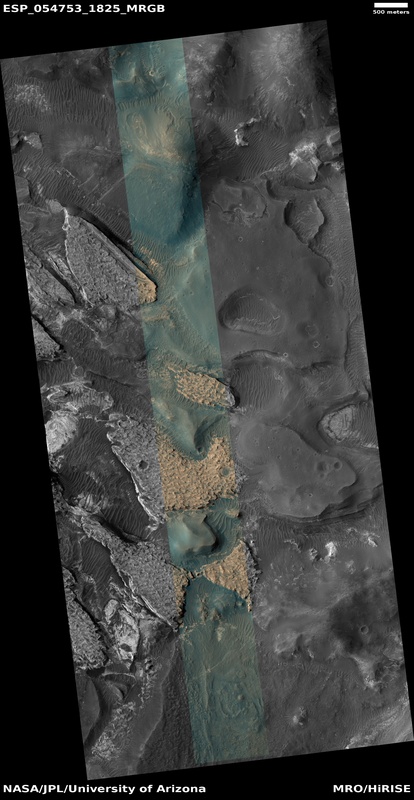 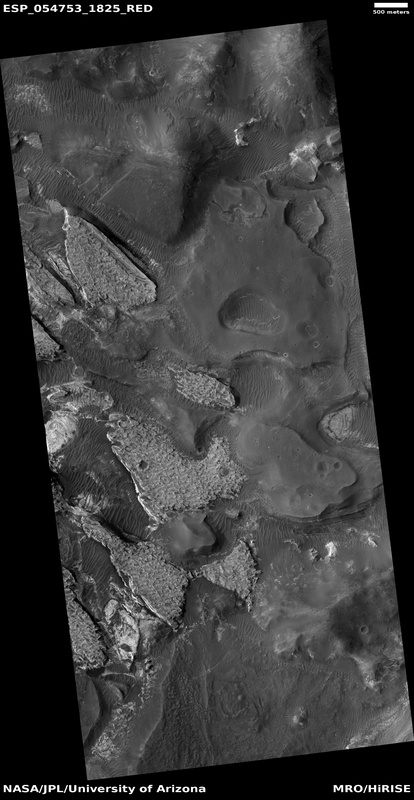 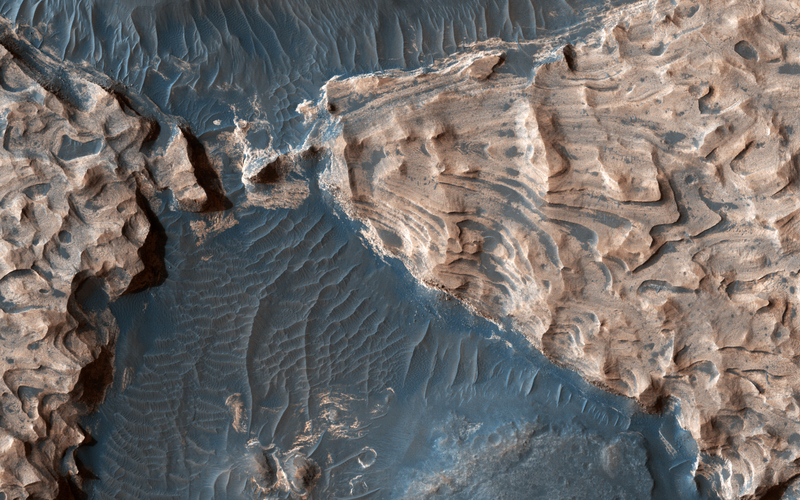 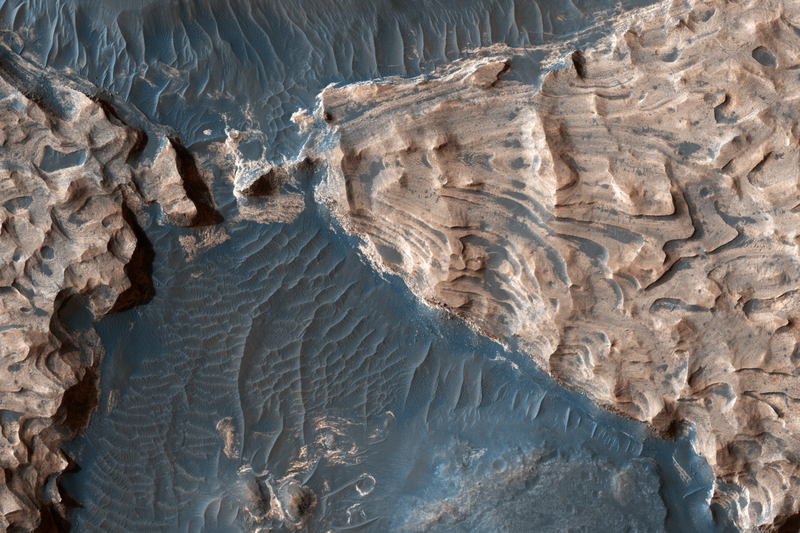 Aram Chaos lies within a 280 kilometer-diameter ancient impact crater in the Southern Highlands of Mars. 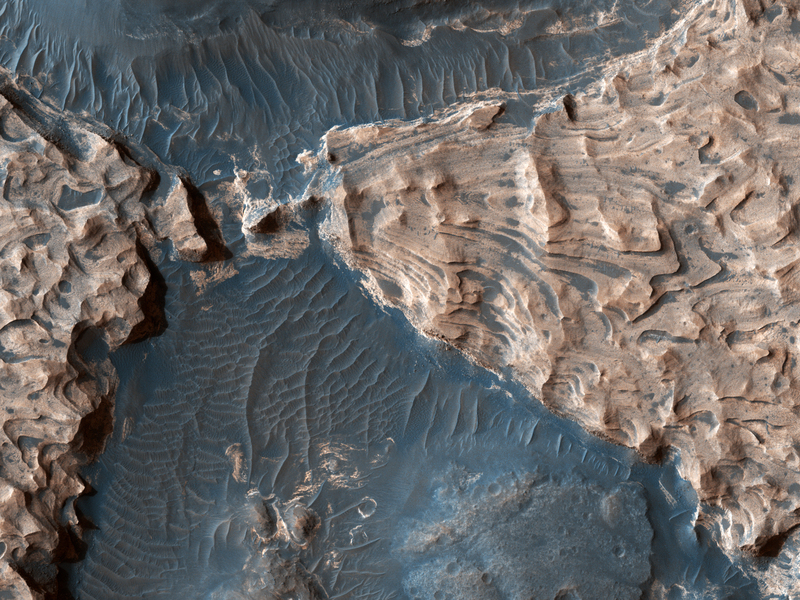 Uplifted blocks of light-toned layers, composed largely of the iron-oxide hematite and water-altered silicates, indicate that this crater once held a lake. 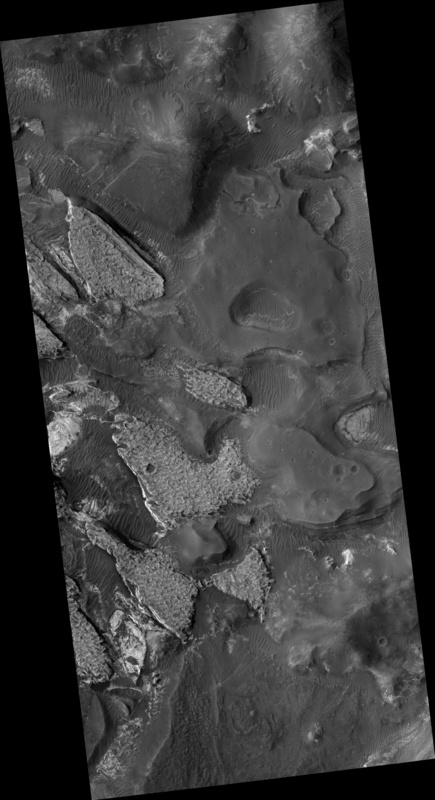 This is a stereo pair with ESP_055452_1825.